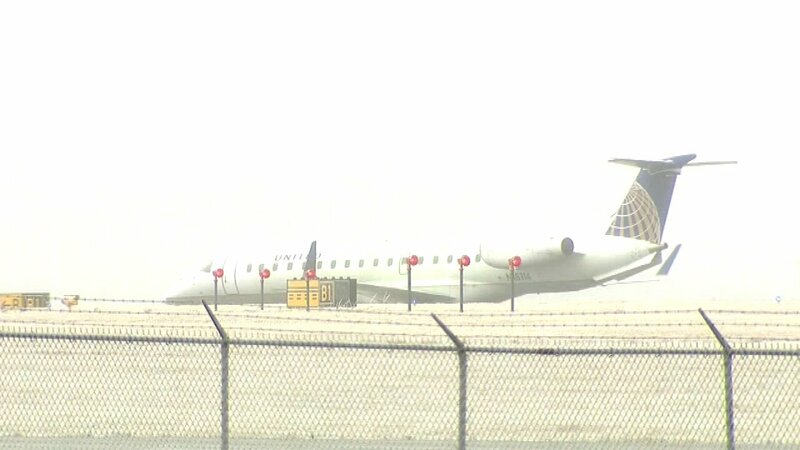 NASHVILLE, Tenn. (WLS) -- United Express flight # 4696 from Nashville to Chicago was canceled Friday morning after the plane's nose gear went into the grass while making a turn. The FAA said the Embraer E45 plane was taxiing to the runway for takeoff around 11:55 a.m when the nose went into the grass. United Airlines said the incident was not related to the weather. There were 50 passengers and three crew members abroad the plane. No one was hurt.